Update: Check out our review of the Garmin Approach S10. Garmin has unveiled its latest entry-level GPS golf watch, the Approach S10. It joins a large line-up of golf devices from the sports watch giant, with this one aimed at keeping things basic. The Approach S10 eschews the array of complex golfing features that have become commonplace in its golf watch line-up, and focuses on on-course distances. You get access to 41,000 courses, without the need to pre-load data, and when you're on the course you'll get distances to the front, back and middle of the green, as well as lay-ups and hazards. You can also keep score on the watch, tapping in strokes and putts after every hole, before the watch automatically switches to the next. 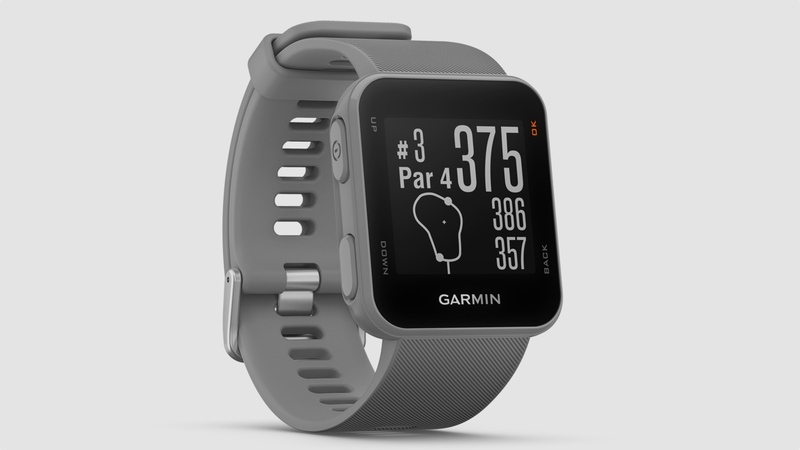 Garmin has had recent success with golf devices that use a fitness band-style design, which started with the Garmin Approach X40 and continued with the cheaper Approach X10. The Approach S10 is, unsurprisingly, an equivalent to the latter, but in watch form. Loosely speaking, the X range also has a more unisex appeal. It has a pretty lean set of features, for those who just want basic on-course information – and for most people, that's enough. We've used some of Garmin's biggest, baddest and most expensive golf watches, and still only really bothered to access the simplest data. It's also an acknowledgement that smartwatches can now do the job of a golf watch. We've recently tested Apple Watch golf apps, and the platform has made huge strides as a golfing companion. There's no need to pay big money for that level of data. The Garmin Approach S10 retails for $149.99, coming in cheaper than the more feature-rich X40 and S20. Both of those offer extras like shot detection, maps of the green layouts and smartwatch-style notifications.